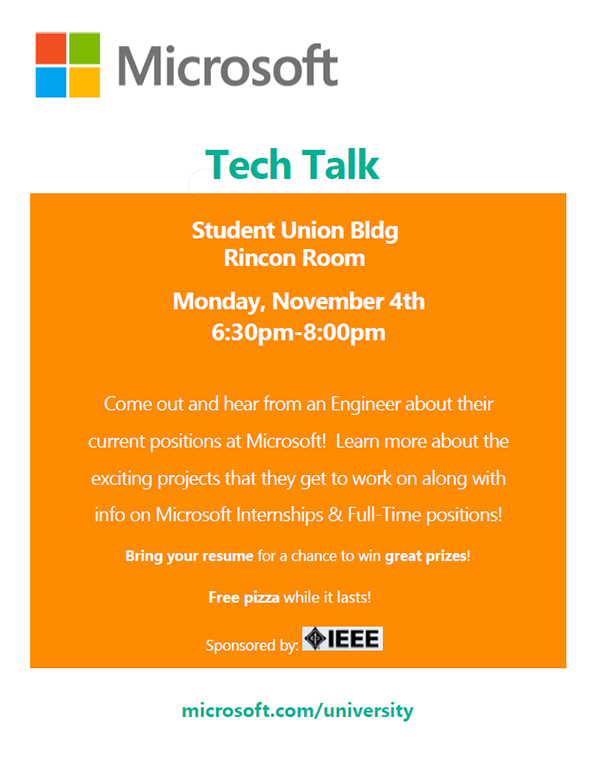 The IEEE Club is sponsoring a Microsoft Tech Talk this Monday, November 4th. You'll get a chance to meet some of the engineers at Microsoft, learn more about the company, and get a better idea of what the company's engineering positions are like. Where: Student Union Memorial Center in the Rincon Room (3rd floor). There will be free food, and we'll be giving away free stuff to those who bring their resumes!